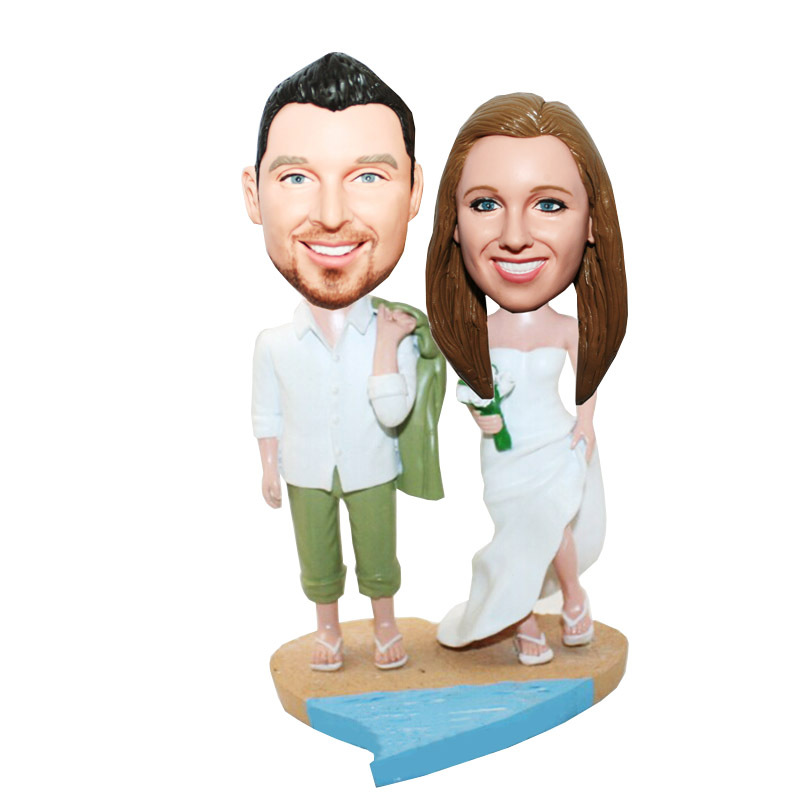 This custom bobblehead doll depicts the bride and groom in the lovers shoes. The bride is wearing her casual beach wedding dress, and the groom has his linen suit jacket draped over his shoulder.So so so romantic. 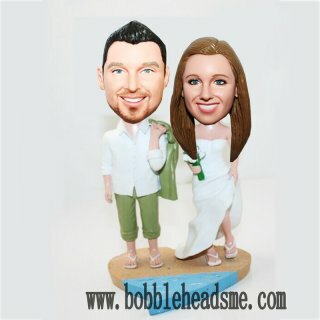 This customized couple bobblehead is an ideal gift for wedding, engagement or anniversary.Even to celebrate their perfect honeymoon.